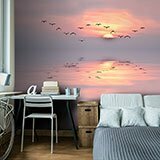 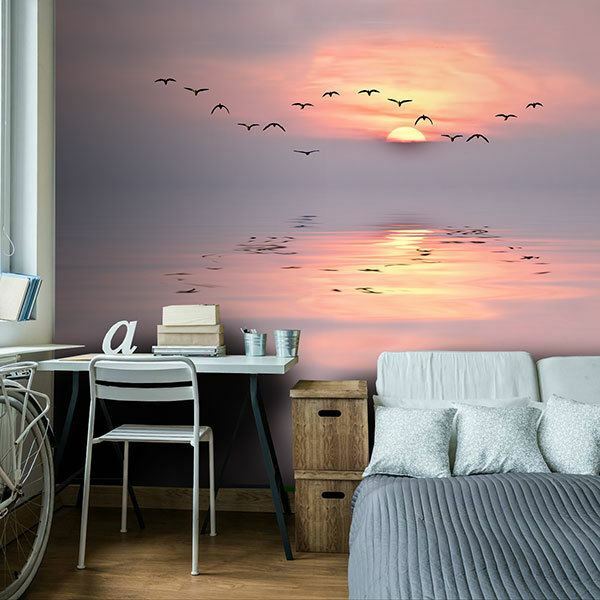 Wall mural Sunset among seagulls. 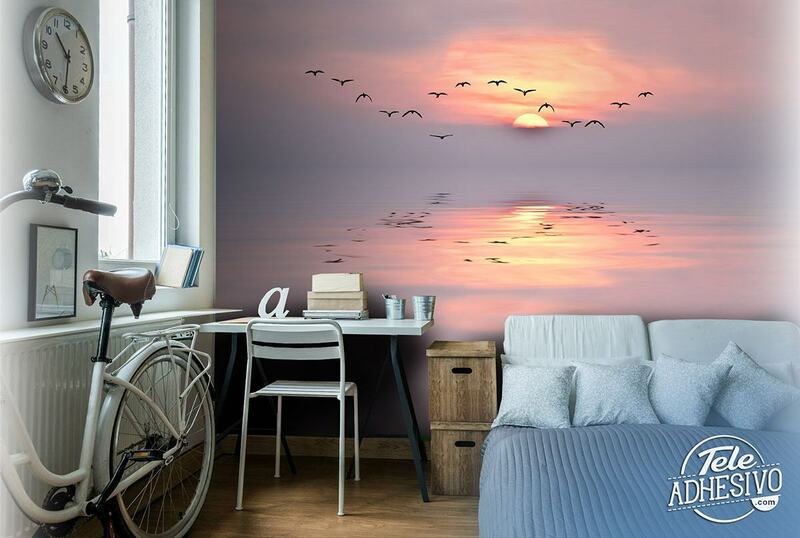 Amazing image of the sunset in the sea created by the dense fog and clouds, where several seagulls fly. 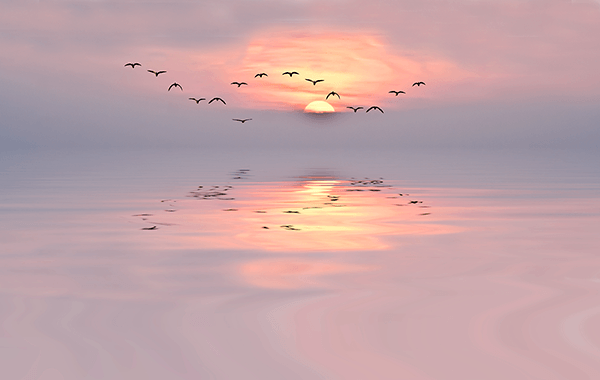 These phenomena prevent us from seeing both the sky and the water clearly, creating a unique atmosphere of totally unusual but precious colors.